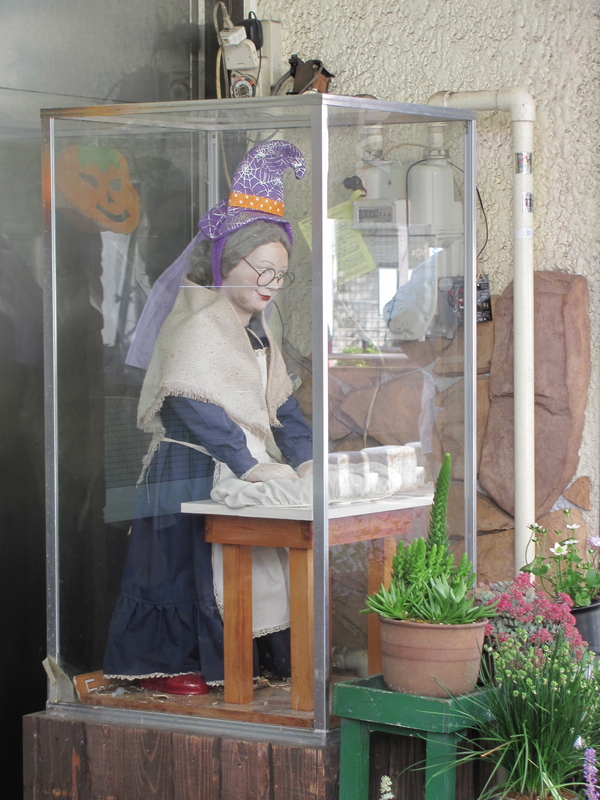 I noticed more places in the area decorating for Halloween. 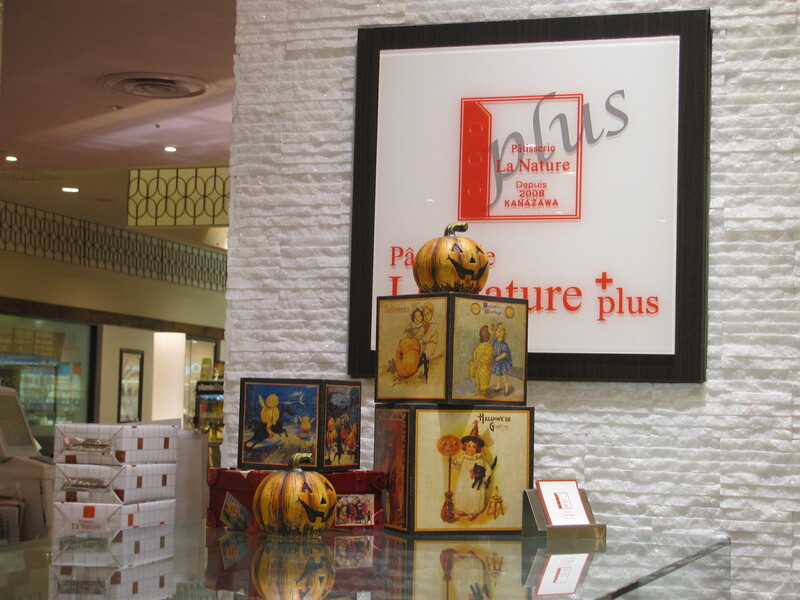 For example, the Komatsu Aeon mall and many of the shops in Kanazawa Forus mall had jack-o-lantern decor this year. 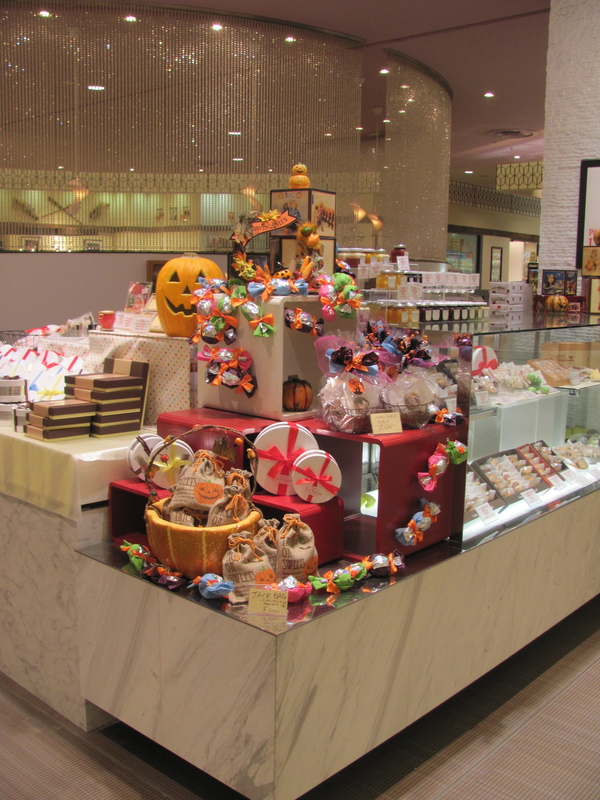 Unsurprisingly, a lot of the decorations were for restaurants and bakeries, who have more seasonally themed products and turnover than, say, a clothing store or electronic store. 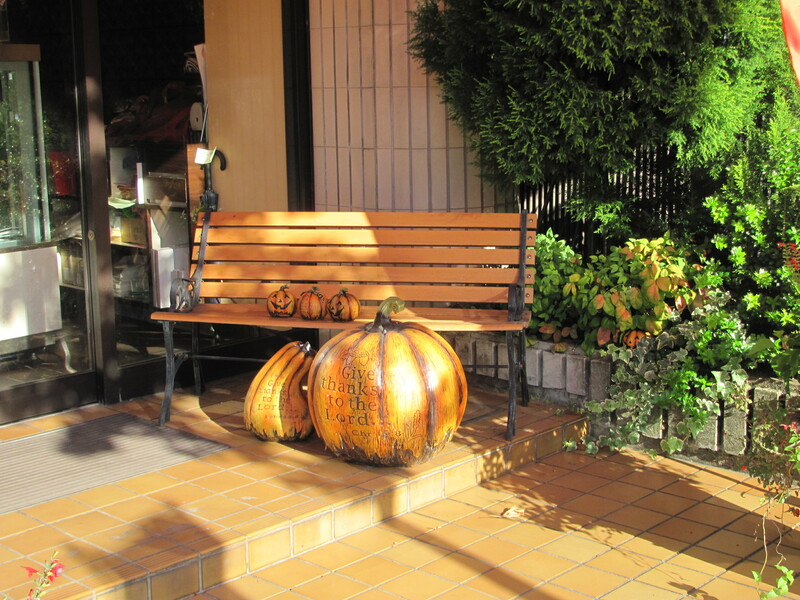 The winner of “most baffling decorations” were these Bible-verse pumpkins spotted at both Dolce Campagne in Kanazawa and Romanyu (a thrift store) in Nonoichi. 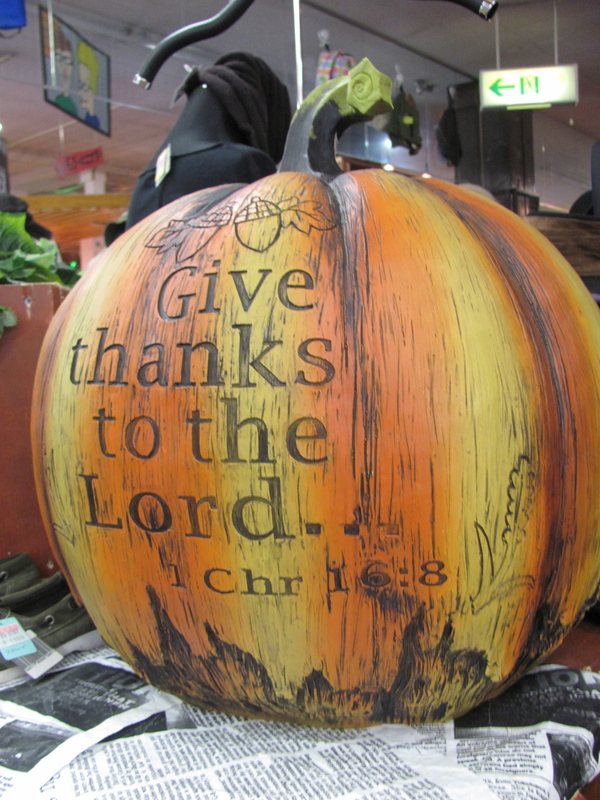 “Give thanks to the Lord. 1 Chr 16:18.” Spotted at Dolce Campagne, Kanazawa. 1 Chronicles 16:8 reads “Give praise to the Lord, proclaim his name; make known among the nations what he has done.” I imagine what happened is that a shipment of “pumpkin decorations” was sent to Japan and some retailers, unable to read the English or just plain apathetic, decided to display these Christian-themed pumpkins. Given the verse, they may have been produced with Thanksgiving celebrations in mind. There’s something similar here, but if anyone has information on the distributor, manufacturer, or retailers displaying the pumpkins, let me know. Romanyu (浪漫遊), Nonoichi. Where is the origin of this pumpkin? By the way, Romanyu offered a discount to shoppers in costume around Halloween. 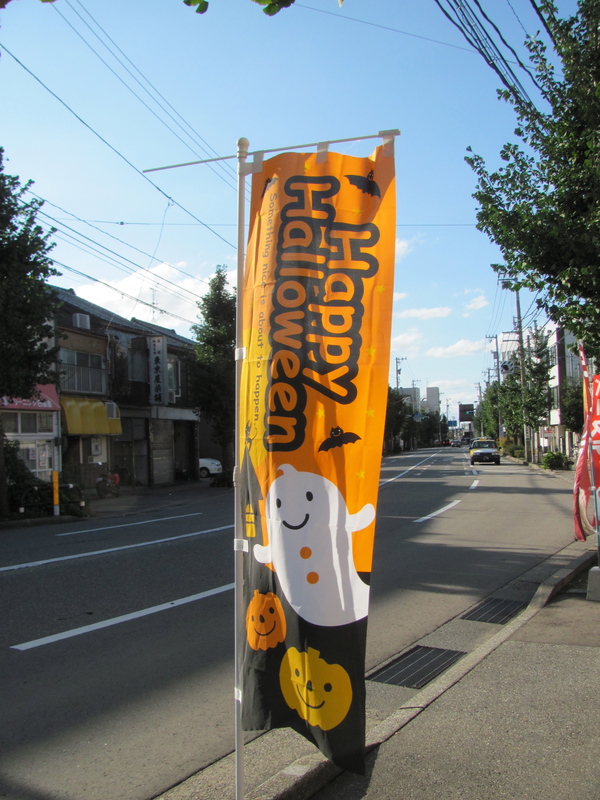 I also saw a number of private residences and businesses (dry cleaners, dentists, auto dealers) with paper- or gel pumpkin/jack-o-lantern decorations. I wonder how much is a result of ESL; for example, if the owners have children or grandchildren or want to make the shop more child-friendly for customers. 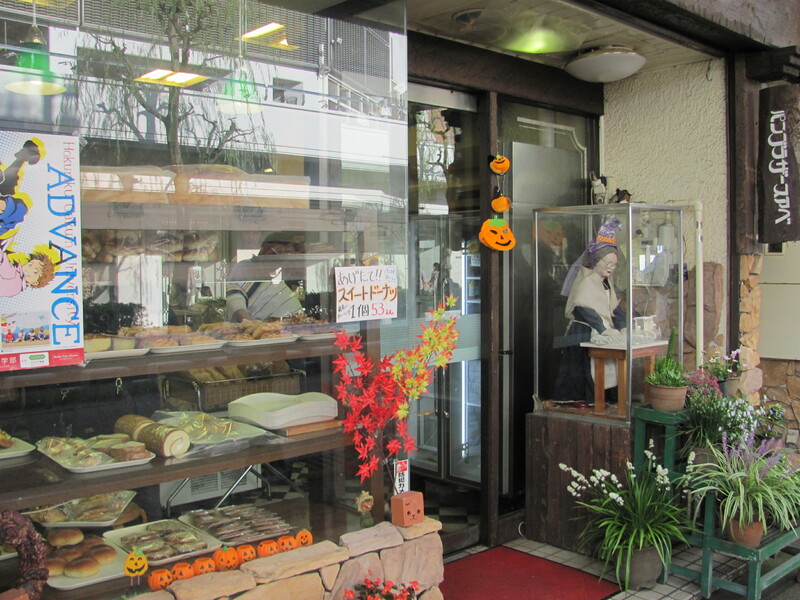 The increase in decorations could also be because rival businesses are decorating; or perhaps the owners/corporate see the decorations available in more 100-yen stores, online, or at different businesses they patronize. I would love to ask these businesses why and how they display Halloween goods. Are they just participating in a nationwide decorating trend, or is the increased visibility of Halloween more the effect of internationalization, namely American/Canadian expats’ nostalgia and demand for Halloween goods as well as Halloween’s inclusion in ESL curricula? 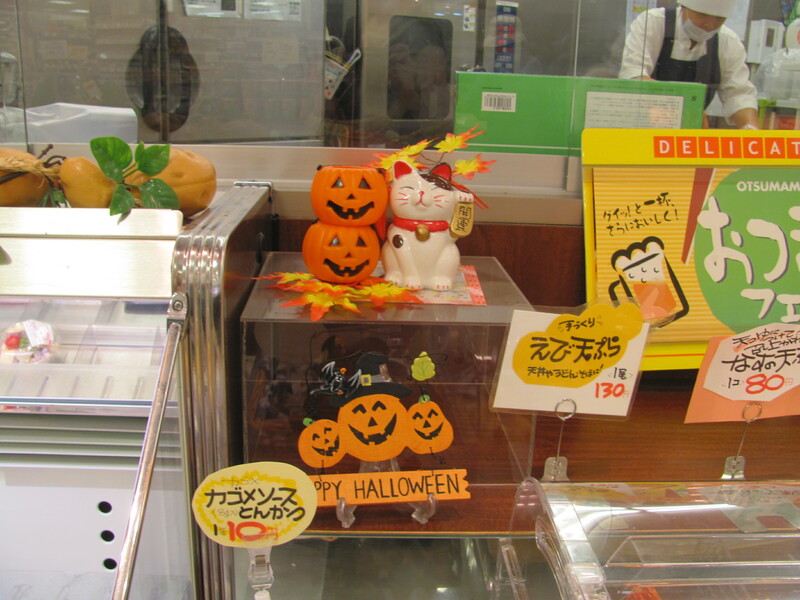 Next time: Halloween goods in grocery stores, 100-yen shops, and what it means to import a holiday.